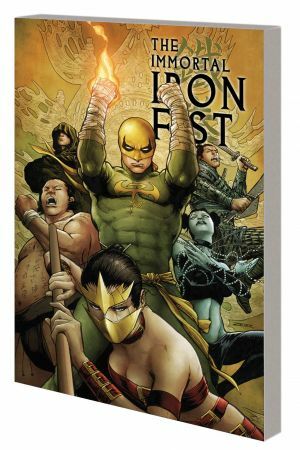 Although the Iron Fist's legend is immortal, Danny Rand is definitely not! Why is Danny sweating over an inescapable legacy that has haunted the Iron Fists for centuries? And what is the deeper meaning of Xao's ominous threat? As Danny and the Immortal Weapons begin another dimension-spanning adventure, they discover that the Seven Capital Cities of Heaven...might have an Eighth! 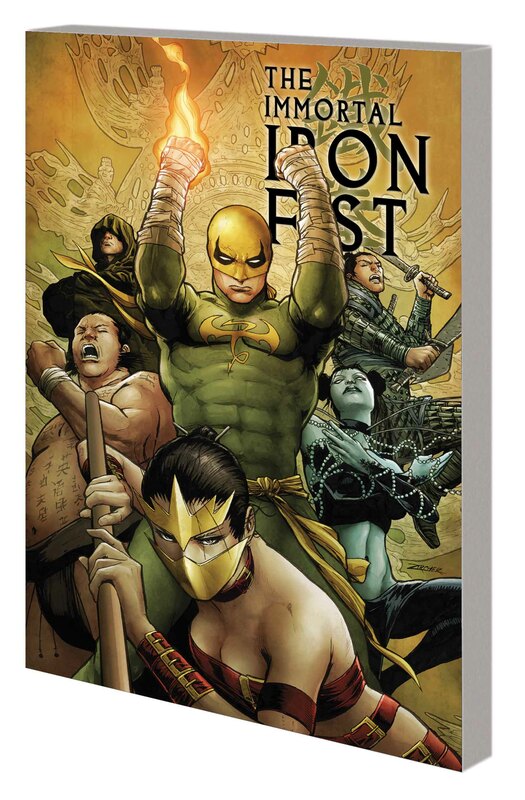 Plus: Iron Fist teams with Aman and delves deeper into the Immortal Weapons' lives! Thrill to Fat Cobra's decades of adventure! Bride of Nine Spiders confronts her past! Is Dog Brother #1 involved with disappearing orphans? How did Tiger's Beautiful Daughter become the world's deadliest fighter? And what is the Prince of Orphans' mission on Earth? 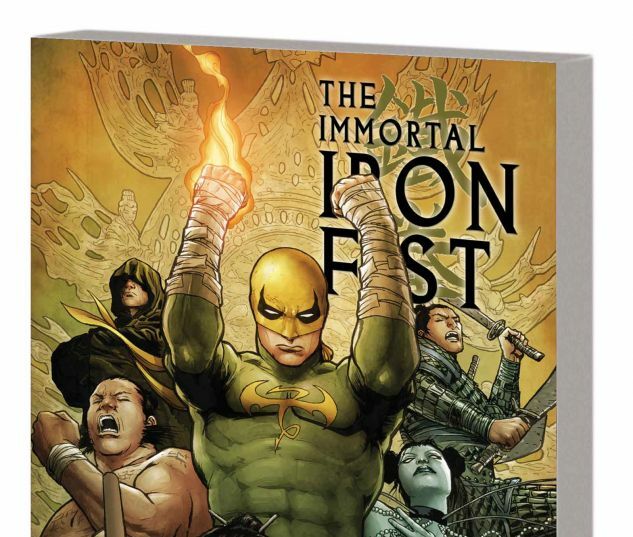 Collecting IMMORTAL IRON FIST #17-27, IMMORTAL IRON FIST: ORSON RANDALL AND THE DEATH QUEEN OF CALIFORNIA #1, IMMORTAL WEAPONS #1-5 and the IMMORTAL WEAPONS SKETCHBOOK.